Bike 6 Waterproof Phone Mount is the most ideal iPhone mount for motorcycles. 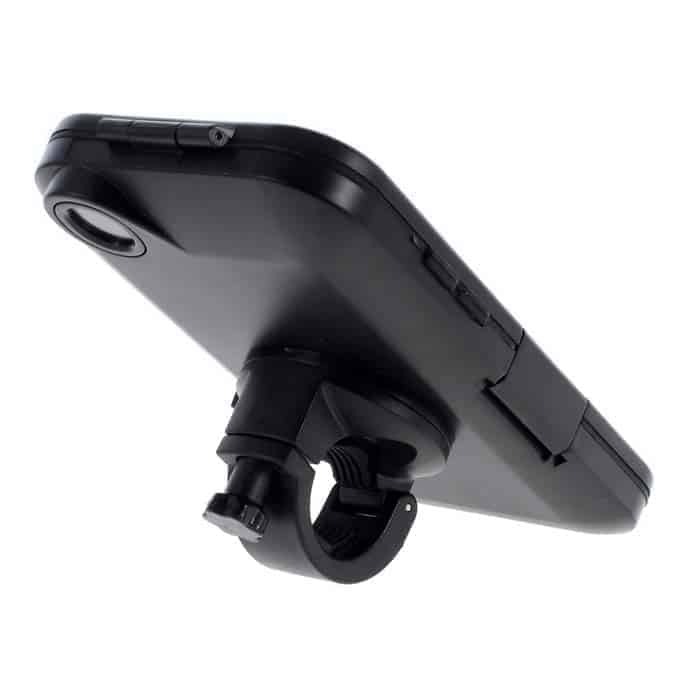 This bike mount is ideal for photography and video recording using your iPhone. 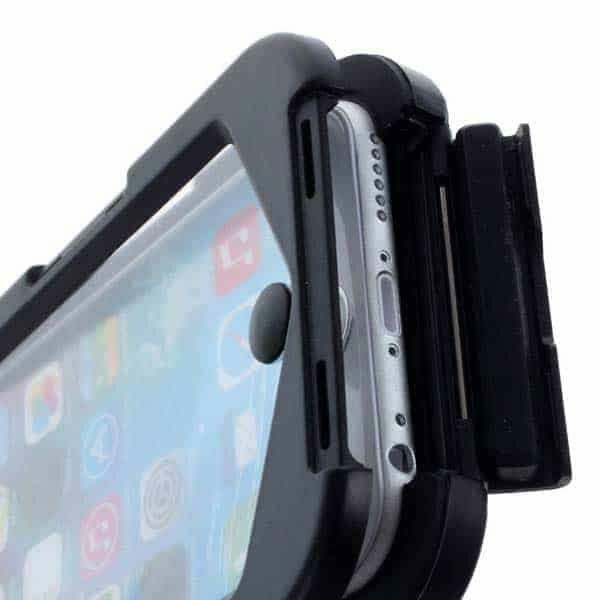 The Bike 6 Phone Mount literally transforms your iPhone mount into a action camera that can be fitted on any motorcycle or bike handlebar. Bike 6 phone is also perfect for GPS navigation. 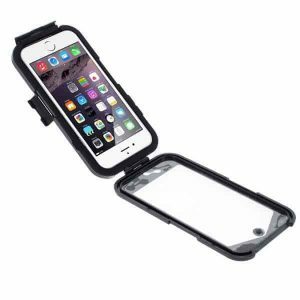 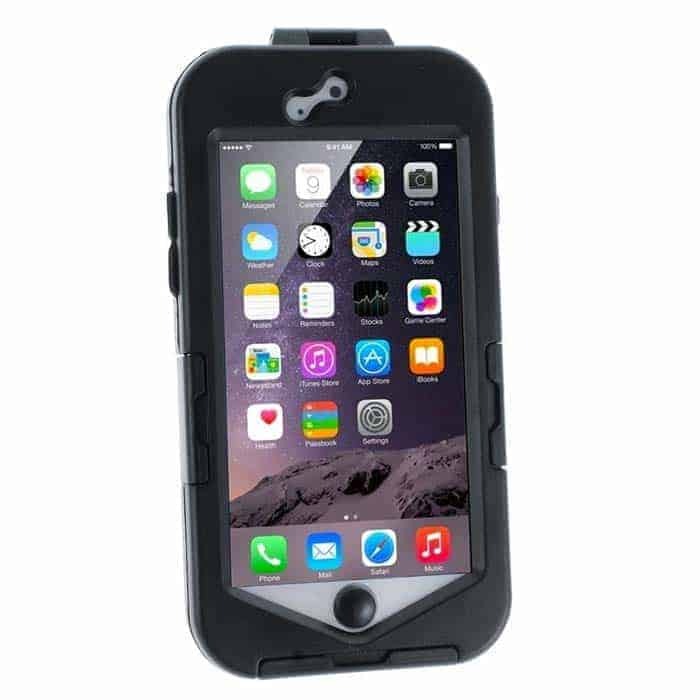 This iPhone mount supports touch and is rated IP68 Waterproof Snowproof Dustproof, perfect for using in rains and other extreme weather conditions. Comprehensive Protection: Outside, the case is constructed sturdily, shock-protected from falls and impact damage. 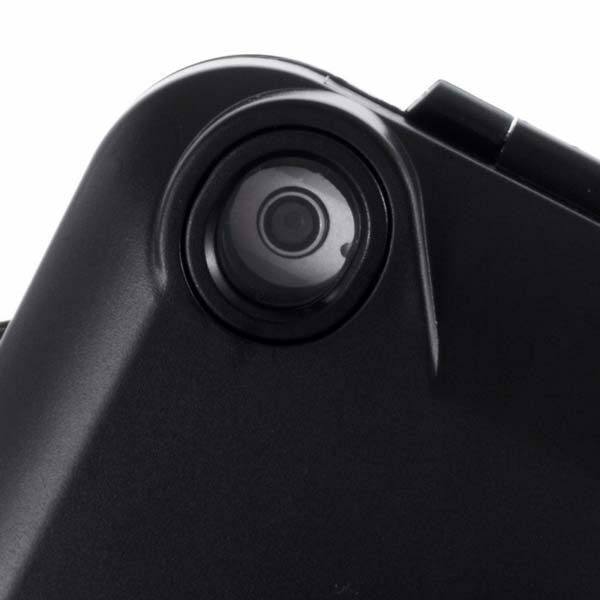 Excellent touch feeling,touch screen operable with over 90% sensitivity. 360 degree rotation, reinforced mounting bracket for bar/stem installation,compatible for ISO 22.2mm – 24.8mm handle bar; Safe locks to fix your phone case firmly. NOTE: The mount for each iPhone model looks different from the back due to the design changes for different size cameras in on each iPhone.